From one former chapel to another. 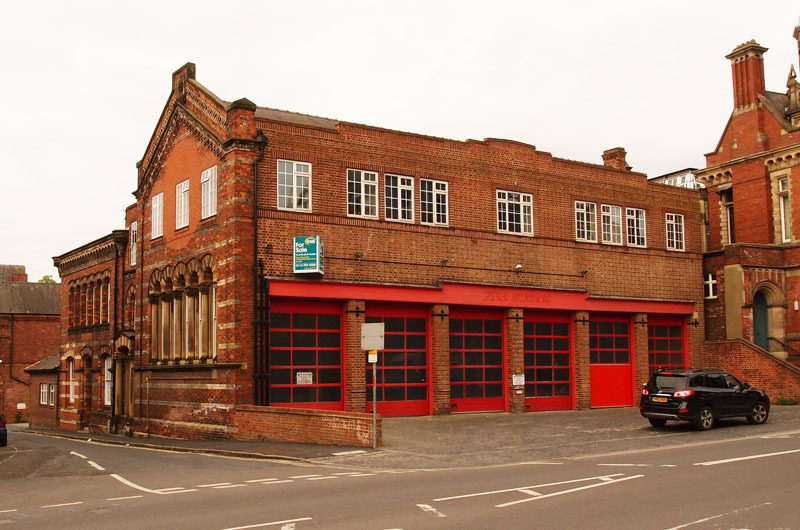 A planning application for the redevelopment of the former fire station/chapel on Clifford Street was submitted recently and is open for comment. The building has a Clifford Street address, but it’s a corner site, at the corner of Peckitt Street, stretching along one side of that short street right back to the riverside walkway. And that’s significant, as whatever is built on the site will be quite dominant in the streetscape from several important angles. A recent Press article showed one viewpoint, from across the road looking towards the Clifford Street/Peckitt Street corner. It’s worth looking carefully at the others, as I think most of us might not have considered how much the redevelopment of this site would affect so many different views. Having had a look I have to say that personally I really don’t like it. But that’s because I like what’s there already. 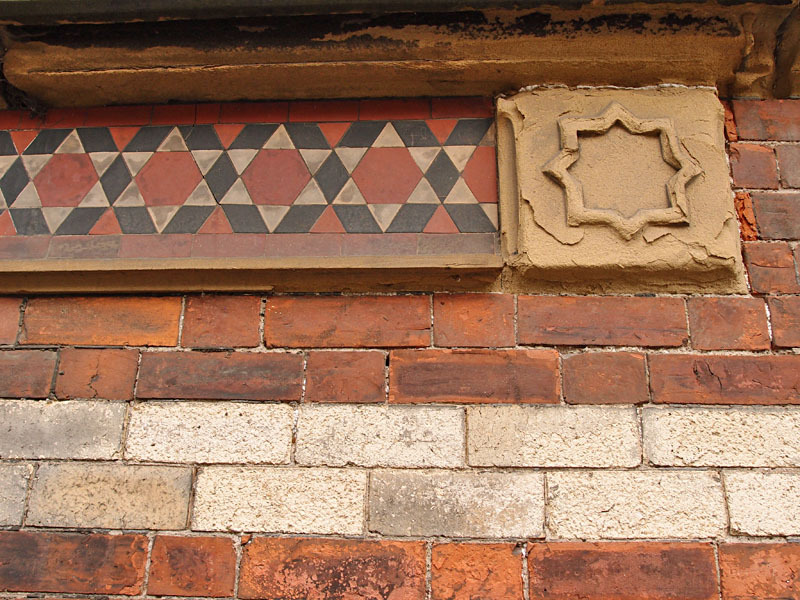 Particularly the Peckitt Street frontage, the remnants of the chapel, the details on that side. I included them on an earlier page. I’d rather they were kept. I’d rather the new development wasn’t so tall, but new developments always are, as we have to make best use of the available space. There’s so much pressure to build new housing that any old building that doesn’t have listed status appears to be doomed to demolition, however interesting and/or visually pleasing it is. That seems to be the case here. We perhaps can’t afford to care too much about how things look. And if the thing we’re destroying is Victorian, perhaps that doesn’t matter in York, where we’re surrounded by so much architectural heritage from ages past. I think it’s really crass to demolish the Peckitt Street face of this former chapel and destroy those remaining architectural details, but that’s just my personal view. If you’d like to comment on the planning application it’s on this link, reference number 15/02155/FULM. The Design and Access Statement and other relevant documents are under the ‘Documents’ tab/section. To make a comment via the online system, look under the Comments tab/section which tells you how to register your comments. If preferred you can also comment via email, to planning.enquiries@york.gov.uk. For comments to be registered you need to include your name, contact address (*but see note below*), and the reference number of the application (15/02155/FULM), or the address of the property (Fire Station 18 Clifford Street York YO1 9RD). If you’ve studied the plans in more detail than I have, or if you’ve strong feelings based on the images included above, please feel free to add a comment here too. * Note: It has always been my understanding that a postal address was necessary for comments to be registered as valid, and there are obvious reasons for that. The guidelines on the CYC site say the same. However, confusingly, comments without postal addresses are often presented among the objections online. So I’ve just emailed to check. The reply I’ve got says that they accept either an email address or a house address. If anyone else has more information on this apparent change of policy — as it seems rather open to abuse — please add a comment. If you’ve found this information helpful and would like to see this website updated more often, please consider a supporting subscription. This is a lazy and ugly development for this site, removing interesting historic buildings which contribute to the conservation area, and replacing them with an out-of-scale and inappropriate new build. Instead of encouraging owners to work with existing historic structures – which is not only a benefit to the historic environment, but also far more environmentally sound – this proposal rewards owners for poor maintenance and repair by allowing them to use this as justification for demolition and quick, easy money-making new build. There have been some well-informed and thoughtful objections registered, I noticed, on the planning application (on this link). But more noticeable is the number of comments supporting the application, there are far more of these at present. So readers of this page who feel they want to object and haven’t done so already might want to register their views. I’d always be in favour of working with what’s there, and am surprised that the proposed development on this site doesn’t at least keep the Peckitt St chapel frontage. In contrast, in the plans for Groves Chapel (http://yorkstories.co.uk/groves-chapel-plans-21oct/) the developers scaled back their plans in order to protect and preserve part of the interior. But then Groves Chapel is listed, and this building isn’t. Therefore I guess we can’t blame the developers for thinking it has no value?